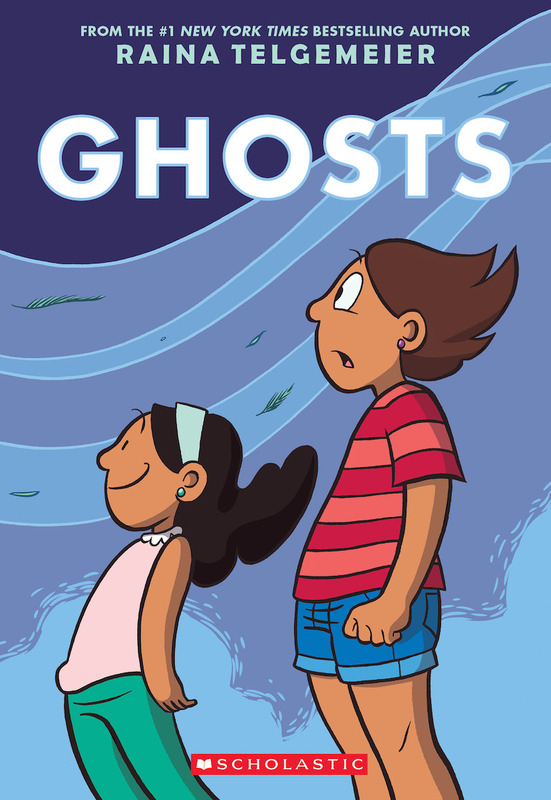 It’s easy to say that if you love any of Raina Telgemeier’s previous books (Drama, Smile, and Sisters), that you will love her new magical realism graphic novel Ghosts. Each of her books is impeccably designed and illustrated, and they all deal with real-life issues that harken back to our tween years. But beyond simply building upon the stories she created in her earlier novels, Telgemeier’s Ghosts pushes her fictional world to a whole new level, both graphically and emotionally. 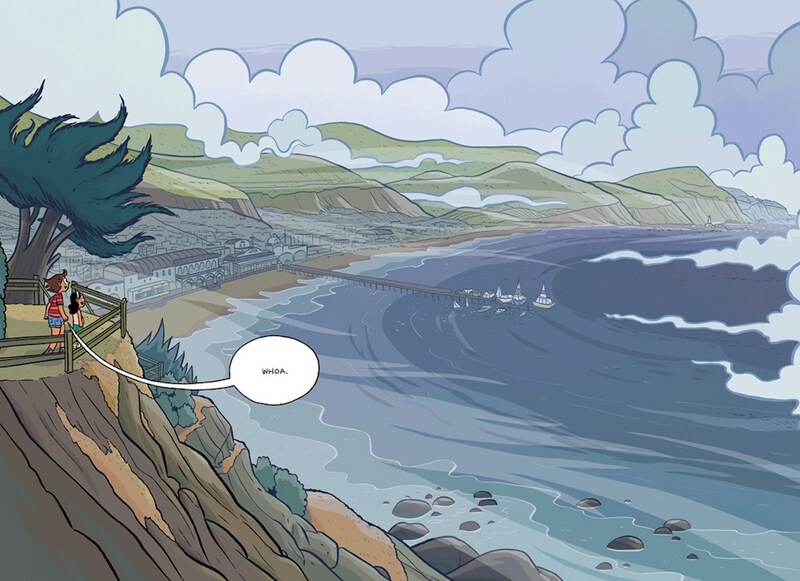 Ghosts tells the story of a girl named Catrina, who moves to a fictional town on the northern coast of California called Bahía de la Luna. Cat’s sister Maya has cystic fibrosis, and the family hopes that the cool sea air will help ease Maya’s symptoms and enable her to breathe more easily. Cat, of course, is naturally reluctant. She doesn’t fancy the idea of leaving all of her friends behind and starting over, but being the sympathetic older sister that she is, she accepts her fate and tries to make the best of it. 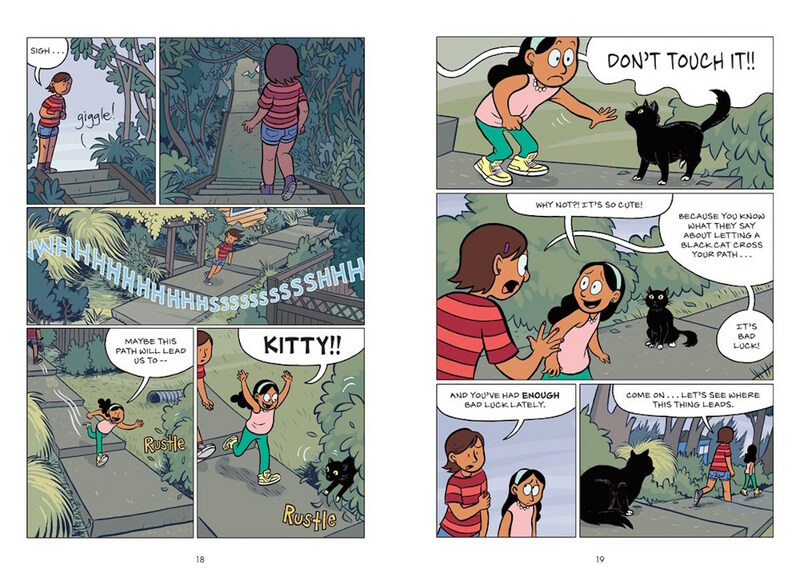 Which is all well and good until a young neighbor tells Cat and Maya that Bahía de la Luna is a portal to the spirit world. Cat acts cautious and protective of her sister, warning her not to pet stray cats and not to push herself too hard, but while we consistently see fear in Cat’s face, we hardly ever see it in Maya’s. Maya knows her time is limited, and she wants to enjoy the time she has. 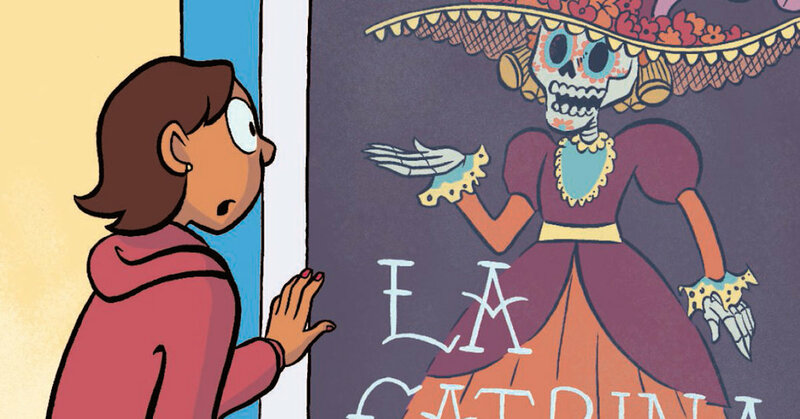 Though Maya is determined to meet and befriend the local ghosts, Cat has reservations, and her reluctance to engage them (and often to even acknowledge them) is very telling of Cat’s personality. And in the moments when the two girls interact with the ghosts, we learn the true root of her anxiety: Cat dreads the day her sister will die. The presence of the ghosts—and more importantly, Maya’s desire to hang out with them and get to know them better—puts Cat in a position of knowing that she is eventually going to lose her sister and that she won’t always be able to protect her. 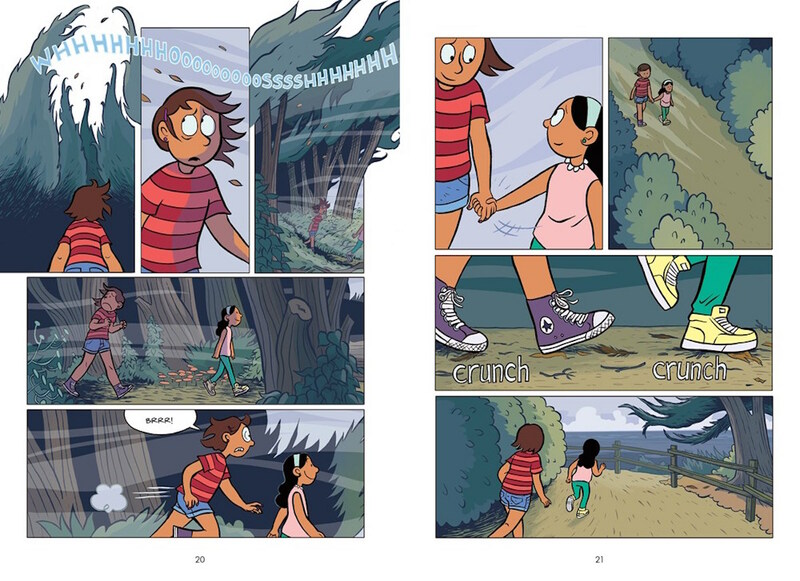 That feeling of hopelessness defines their relationship, and it takes the span of the book and lots of conversations with ghosts for Cat to learn that she must reframe her relationship with Maya while her sister is still alive: their relationship isn’t one-sided, and it shouldn’t be full of fear, it should be full of love. Ghosts is, by far, Raina’s darkest book yet. It reminds us that everyone deals with loss and anxiety in different ways, and that people must come to terms with their feelings in their own time. Everything Cat does for her sister comes from a place of love and protection, and it’s easy to see ourselves in Cat, to want to protect those we love. But we can’t, and Ghosts provides us with a strong lesson in learning to accept our own limits and enjoy the time we have. Purchase Ghosts for your reader or readers.